Oh my its been hot, and as much as I’ve been enjoying the weather I do need something to help cool me down. 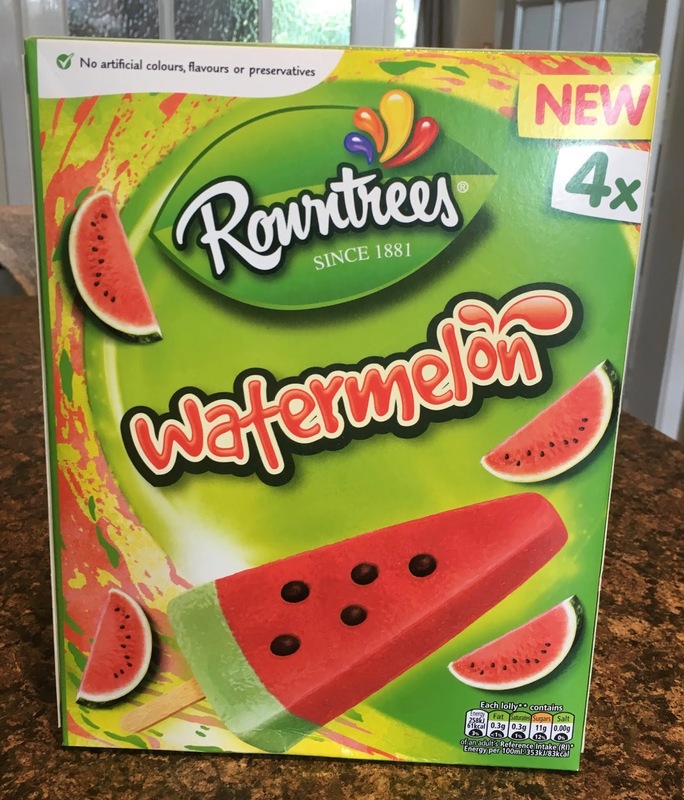 I went to the shop to have look for some new ice lollies and found these interesting looking ones from Rowntrees flavoured with Watermelon. There are four in the box, and I opened one up. 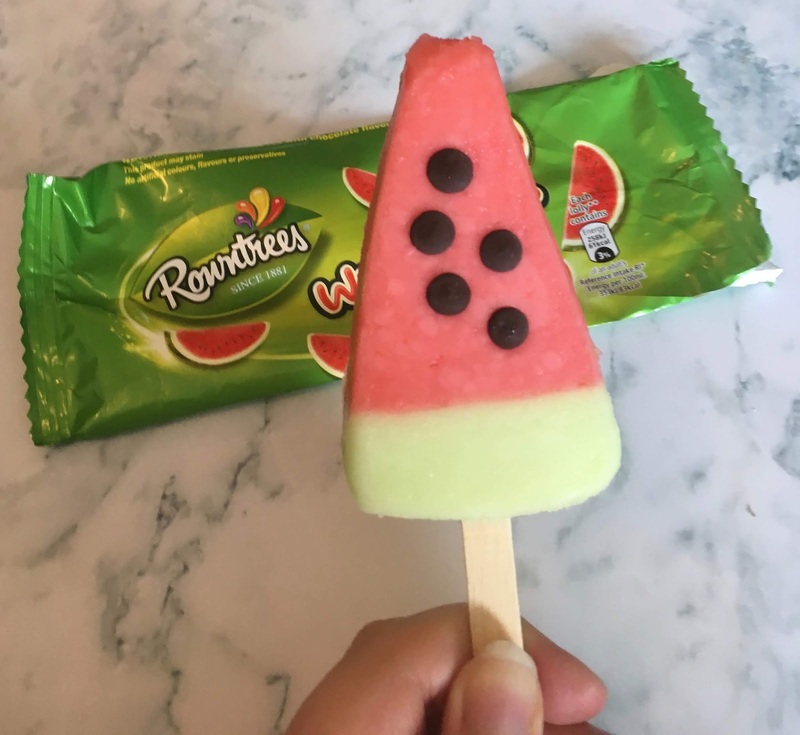 I loved the design of these ice lollies, as they had been made to look like slices of watermelon. They even had a few (chocolate) seeds for decoration. The flavour was just what I needed, it was sweet and so very fruity. The watermelon tasted natural, but sweet and juicy. It was refreshing and a very good representation of the flavour. The chocolate drops didn’t add much to the flavour as there were so few, but were very decorative. They did also taste nice, I just wouldn’t have minded a few more, after all actual watermelon is full of seeds! As I worked my way towards the stick I realised that the green section of the ice lolly at the bottom was a different flavour, and it was strong and zingy apple. This was a nice tangy end to the ice lolly and a great contrasting flavour with the watermelon. I found these Rowntrees Watermelon Ice Lollies very refreshing and absolutely loved the flavours. They were perfectly refreshing on a warm day, and properly hit the spot. The bonus is that they also only have 61 calories per lolly, so I didn’t even have to feel too guilty about the treat.